A Living Trust is a legal arrangement in which you give financial control of property to a Trustee (which can be you, or someone you choose) for the benefit of your beneficiaries. This arrangement has little, impact on your daily life, as YOU are in control of the Trust and its assets. You can change or revoke the Trust at any time. 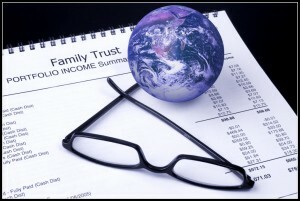 Living Trusts are not just for wealthy people. They make financial sense for those who have more than $75,000 worth of assets subject to Probate. The savings from the Trust’s Probate-Avoidance feature typically more than offset the legal expense of creating and maintaining the Trust. After your death, your “Successor Trustee” can distribute the assets to the beneficiaries named in the Trust, thereby avoiding Probate. And if you become incapacitated during your lifetime, your Successor Trustee can take over administration of the Trust’s assets and avoid a Court-appointed Guardianship of your property and finances.